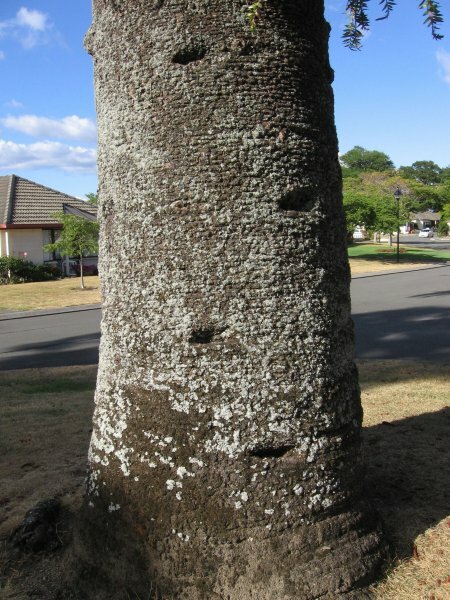 This old tree is one of only two Bunya Bunya in central Richmond. 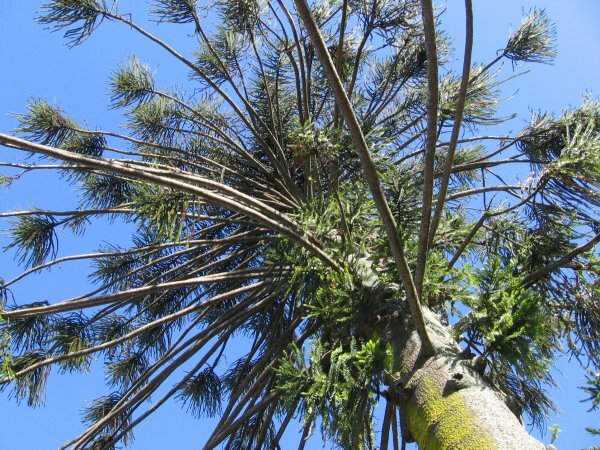 It was at one time situated amongst a cluster of older trees that were typical of 1860's plantings. The European alder, hornbeam and horse chestnut have succumbed to development over the years but a European lime, evergreen magnolia and Japanese maple remain to keep it company. The property is now operated as a retirement village. The name 'Oakwoods' refers to the line of 50 English oaks along the southern boundary. 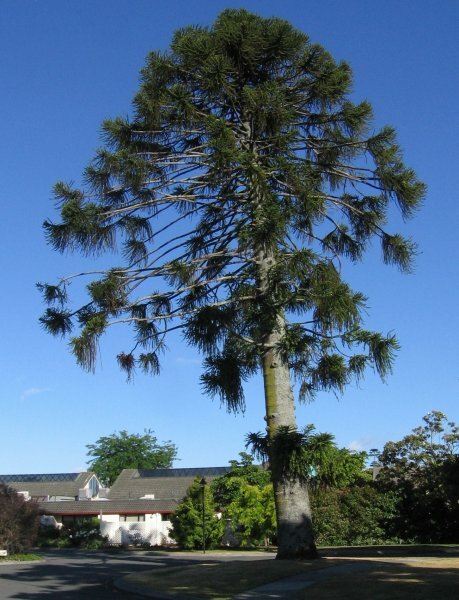 The tree is listed as T734 on the Tasman Resource Management Plan. (Cadwallader, 2012). 19 Dec 2012 Cadwallader, B.G. At the end of the main drive on the right just before the office.